Dustin of My SF actually sent us 3 submissions. Here's the second one. 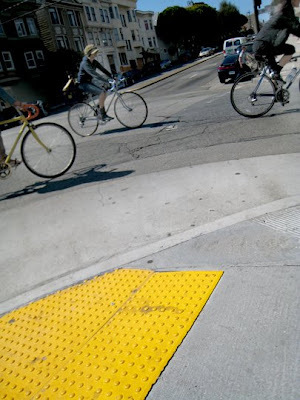 This is a neat shot of a San Francisco mini-mass (or is it the Critical one? ), and a girl wearing a cool hat. Their bikes are nice too. Not the big mass ~ just a three person mass cruising the mission.